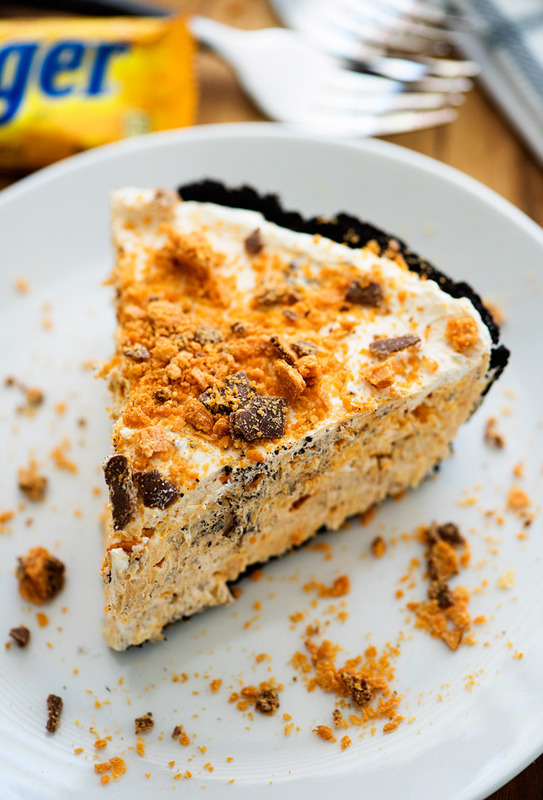 Let me introduce to you this delicious No-Bake Butterfinger Pie! 😀 This is the latest treat I made for my family and it did not last long! 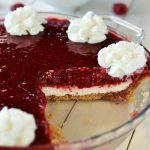 During the summer months I’m all about no-bake recipes. Savory and sweet. 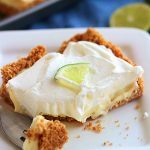 I’m always on the hunt for new dinner ideas AND desserts that don’t require an oven. 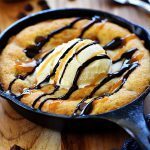 So when I found this recipe I had to give it a try. 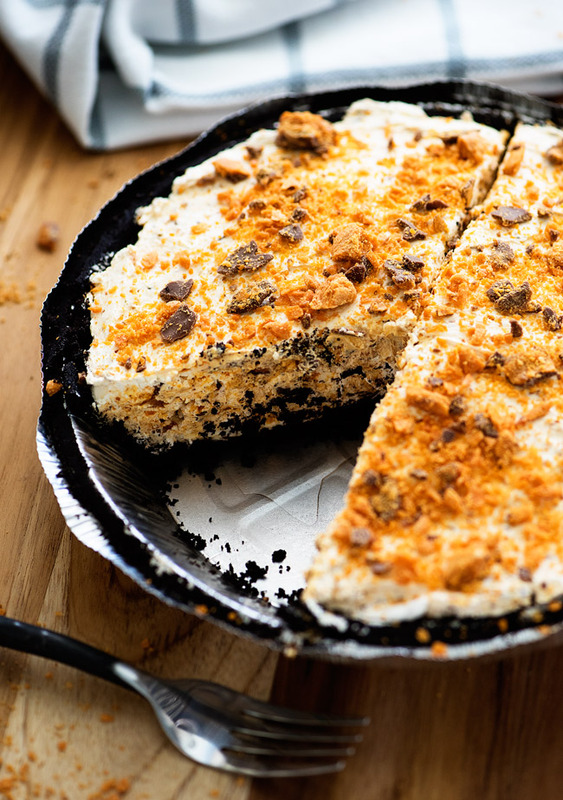 An incredible creamy and delicious no-bake pie using Butterfinger candy bars! Place softened cream cheese and thawed whipped topping in a large bowl. Beat on medium speed with an electric hand-mixer until combined and creamy. Pour in 4 of the crushed Butterfingers into the bowl. Gently stir to combine. Spoon mixture into premade pie crust. Spread out evenly. 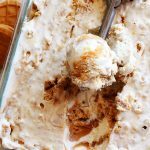 Top with remaining crushed Butterfinger. 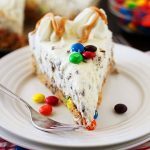 Place pie in refrigerator to chill for at least 4 hours or up to overnight. Slice into pieces and serve with chocolate syrup and whipped cream, if desired.